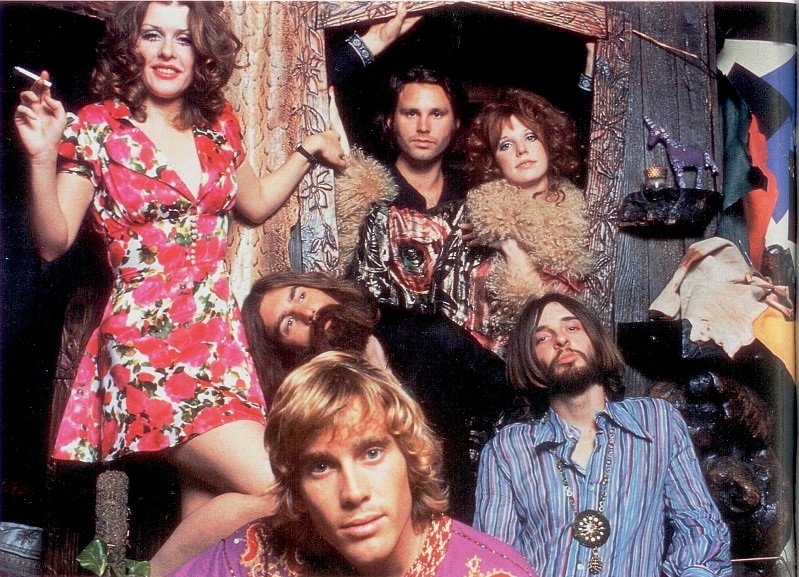 Jim Morrison and Pamela Courson, center, with Tere Tereba (left) and members of the Doors at Pamela’s shop Themis, 947 N. La Cienega Blvd. This Saturday March 10, 4-6 pm. We’ll start at Tara 1342 N Laurel Ave. (Free parking passes) and walk 1 1/2 miles, from Jim Morrison’s last US residence, past Irv’s Burgers original location, Elektra Records, the site of Themis and the Doors office, with a final stop at fave hang Barney’s Beanery! $20 ticket includes entry to Pam Curson flat and balance of proceeds benefit the West Hollywood Preservation Alliance. The Romanesque Building on Harper Avenue. 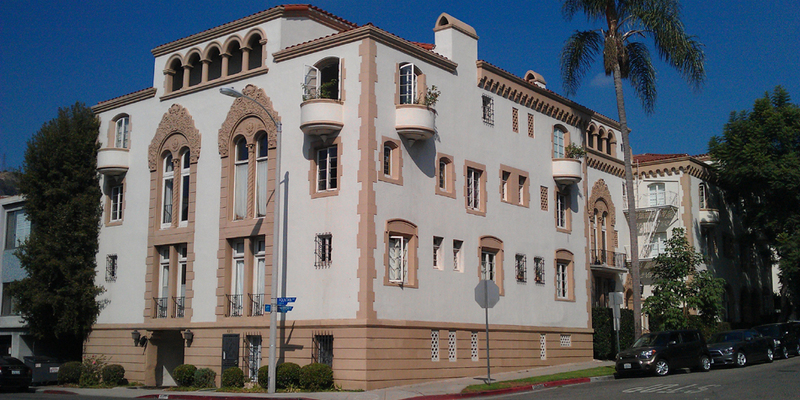 August and September offer a fun selection of WEHO walking tours of famous landmarks and stunning world-class architecture. From Deco to The Doors, from Mid-Mod to movie stars, lots to see! Long before there was Weho there was another West Hollywood, also full of stars & bars. We venture on foot to the playgrounds of the legends, from the Roaring Twenties to the Sunset Strip riots-our most popular tour. Dress in your rock finery as we rock out to the music of The Doors and visit the favorite hangs of Jim and the boys. A dozen sites in a dozen blocks, this was Jim’s creative home. Follow the Lizard King’s footsteps- bring your own Jack Daniels! Reprise of our most popular tour. Mid Century Modern Mania as we visit the Space Age Bachelor Pads of Ed Fickett, AIA. These fanciful 50’s apartments epitomize So Cal living. Dress 50’s if you can! Tours begin at Tara at Laurel Park 1343 N. Laurel Ave, West Hollywood. See MAP. Select complimentary parking passes for Zone 6 are available to first five cars. Other parking options: free on Fountain Avenue (Read signs!) and metered parking on Sunset or pay parking in 8000 Sunset -Trader Joe’s. For passes, please arrive fifteen minutes early to secure a spot. Suggested attire: Thematic clothing is always a plus, dress for comfort, possible sultry weather, hat and sunscreen suggested. Bring a water bottle for hydration. Tour is a gentle walk, suitable for all. Wheelchair friendly. Tours cost $20 per person.